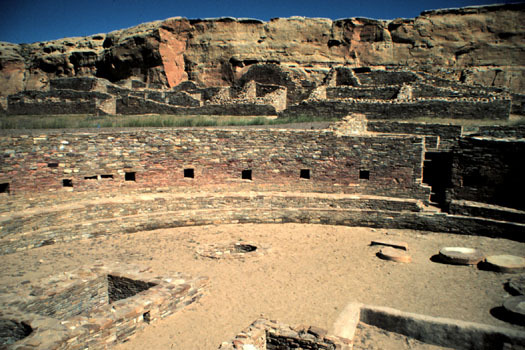 Great kiva in the Chetro Ketl plaza. 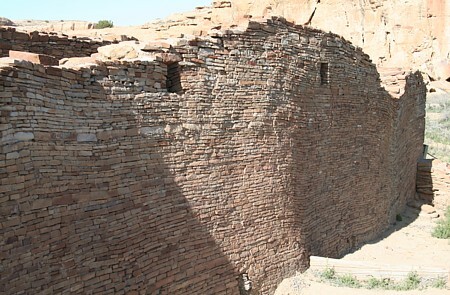 Elevated kiva in room block. 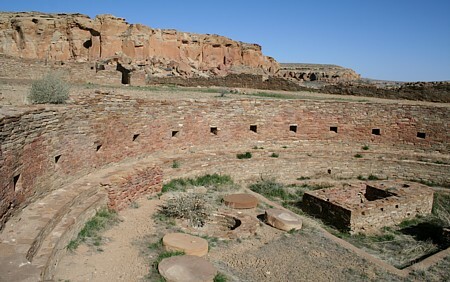 Kivas in southeast section of the room block. 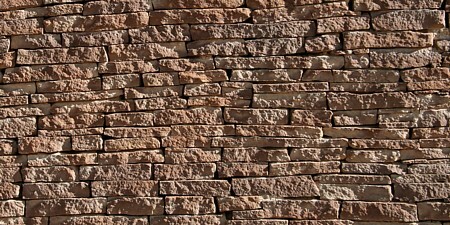 Masonry details in different sections. 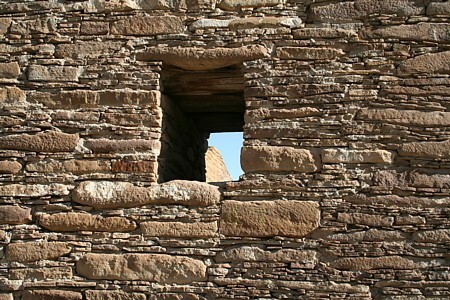 The north walls displays settling and leaning after about 1,000 years. In the foreground is one of the two great kivas in the Chetro Ketl plaza. The kiva is 60 feet in diameter. 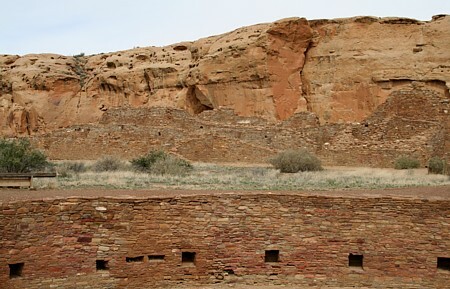 The north side suite of rooms is visible in the background. 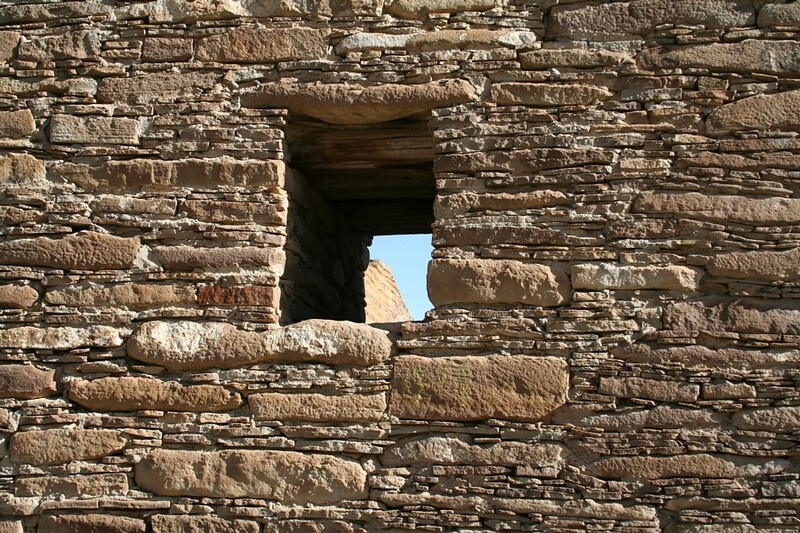 Niches are features in some great kivas. 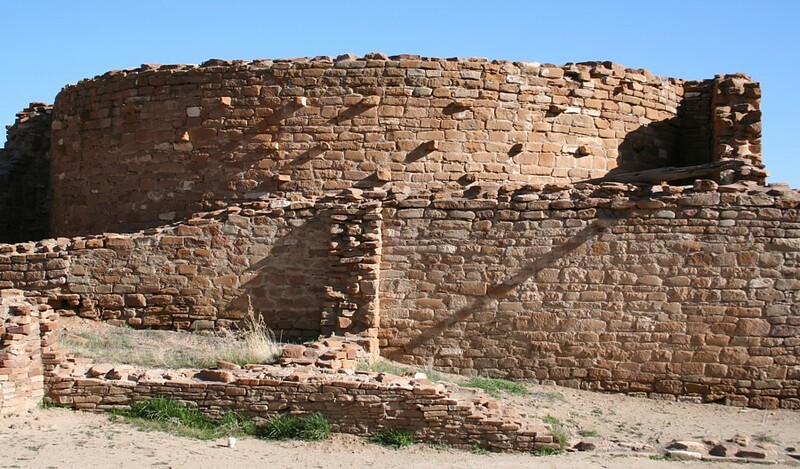 The rectangular masonry forms in the floor area may have served as floor drums. The circular forms were bases for the roof support posts. 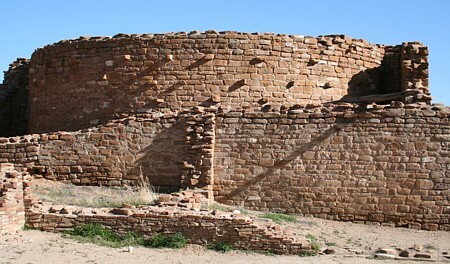 The Chetro Ketl room count is estimated at about 500, and about 5,000 trees were used. 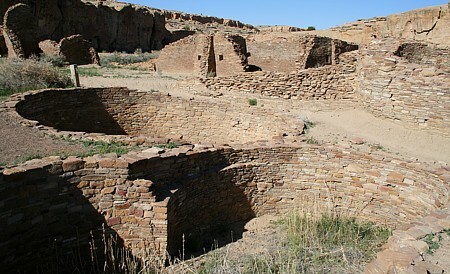 Chetro Ketl is near Pueblo Bonito, due east up canyon half a kilometer.